On January 1 around 3:30 pm, a delivery truck drove into a crosswalk in the Richmond District of San Francisco. The truck struck a vehicle carrying a family of five and two pedestrians. The family in the vehicle were treated at the scene for minor injuries. However, two elderly men, 66 and 79 years, were seriously injured. The 66-year-old is recovering from a broken rib and punctured lung while the 79-year-old required surgery for internal bleeding. According to reports, the truck was driving southbound on 21st Avenue when it entered the crosswalk at Geary Boulevard. It is believed that the truck driver lost control of his vehicle. Law enforcement officials are investigating the crash, including questioning the trucker, and have not released a cause for the accident, though they do know that the trucker attempted to make an illegal turn. It has not been confirmed whether speeding, drugs, alcohol, or any other issue influenced the crash. On March 17 at around 9:30 a.m., a catering truck crashed into a traffic signal pole in East Caribbean Drive. Two women were in the truck. One was airlifted to a nearby hospital and the other was taken by ambulance. Both are being treated for serious injuries at a trauma center. As of right now, law enforcement has not determined whether drugs or alcohol were involved in the crash. While the single-vehicle crash may have been a simple accident, it could also have been caused by driver error, a defective part, or a maintenance issue. 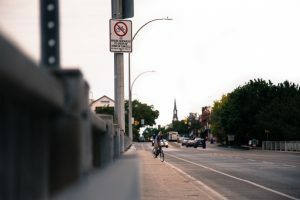 If negligence was behind the crash, then it is possible for the passenger or both the driver and passenger to have a personal injury claim against the at-fault party. Individuals who are hurt in single-vehicle crashes should speak with a San Francisco personal injury attorney to determine if they have a valid personal injury claim through which they can receive compensation for their injuries. From crashes to mechanical issues, accidents involving large trucks are always frightening and the danger is magnified when the truck is carrying hazardous materials. Transporting fuel and other potentially dangerous materials is necessary, but it must be done with the highest concern for safety. Hazardous materials truck accidents can claim lives and cause devastating injuries. Our Oakland truck accident lawyer advocates for the victims of hazmat accidents helping ensure them recover compensation and holding those responsible accountable for the consequences of their actions and choices. Thankfully, as the Vallejo Times-Herald reported, tragedy was averted in the case of a diesel truck fire in Vallejo this week. Early Monday morning, the Vallejo Fire Department responded to a fuel tanker truck fire on Highway 37 near the Fairgrounds Drive exit. Department officials told reporters that the double tires on the tanker caught fire, possibly as a result of a brake failure on a hill. While the fire melted the aluminum surrounding the tires, firefighters were able to extinguish the fired before it breached the diesel tank. Battalion Chief Urrutia said the fire would have been a much bigger, “ugly” incident had the flames reached the tank. No injuries were reported and the truck’s load was transferred to a second tanker. Every year, the National Transportation Safety Board (“NTSB”) releases what it calls its “Most Wanted List.” This list represents the NTSB’s top advocacy priorities for the year, improvements to safety that the NTSB believes can make the biggest difference in preventing transportation accidents and saving lives. Our San Francisco injury law firm shares the NTSB’s commitment to transportation safety and, while we advocate for injury victims in California every day, we know that prevention is always the best goal. Reduce Fatigue-Related Accidents: It is impossible to know exactly how many car accidents are due to drowsy driving, but the National Highway Traffic Safety Administration believes anywhere from 2% to 20% of yearly traffic fatalities are due to drowsy drivers. The problem also extends to other areas of the transportation field and the NTSB identified fatigue as a probable cause in 20% of the Board’s 182 major investigations between 2001 and 2012. 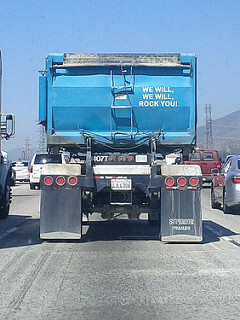 Driving near a big rig truck can be nerve-wracking even for experienced drivers. Whether you are attempting to pass one truck or feeling walled in by multiple big rigs, trucks can be intimidating. While most truck drivers and trucking companies are conscientious and safety-minded, we cannot say that there is no reason to be afraid. Big rig crashes injure and kill thousands each year. Our Oakland truck crash injury lawyer is prepared to fight for the injured and for the families of those who die in truck accidents in Northern California and the neighboring regions. CBS SF reports that a truck driver was injured after a crash between two big rigs caused a vehicle fire. An official with the California Highway Patrol reports that the collision and resulting fire occurred on Interstate Highway 580 in unincorporated Alameda Country, near the North Flynn Road ramp east of Livermore. The accident occurred in the eastbound lanes shortly before noon on Monday. One driver was airlifted to the hospital with burn injuries. Flames also caused a small grass fire, but fire crews were able to extinguish that blaze. Lane closures were reported to last approximately two hours. In our modern world, sometimes it seems like we do everything online. However, there are some industries that simply can’t be outsourced or fully digitized such as the transportation of cargo from one place to another. Cargo trucks are an important, often under-recognized, part of our economy. However, cargo spills remain a very real problem and our San Francisco trucking accident lawyer stands ready to help people injured when transportation of cargo goes terribly wrong. On Tuesday, according to a report on SFGate.com, a driver somehow lost control of a big-rig sending it careening down a hill in the Richmond District of San Francisco. After sliding, the truck hit a group of parked cars and toppled onto its side, burying at least two vehicles in the truck’s load of gravel. About a month ago, we wrote about the problem of trucks spilling their cargo endangering everyone on the road including travelers who drive by later and encounter a missed piece of debris. Today, following a story with a truly miraculous ending, we look more specifically at accidents where items such as logs or beams from trucks impale windshields or otherwise endanger bystanders or even the truck driver himself. 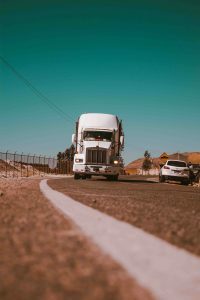 As a truck accident law firm in Santa Rosa, San Francisco, and Oakland, we help people injured when cargo pierces a window or other barrier and we can also represent grieving families when these accidents lead to tragic death. ABC7 reports that a male driver was travelling south on I-280 in San Jose on Thursday December 10th. He was following behind a truck when he saw a metal beam come loose from the cargo load. 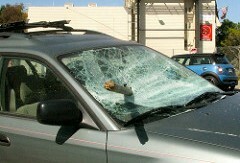 The beam pierced the man’s windshield. While surrounding vehicles prevented the driver from veering to avoid the collision, the driver ducked to avoid getting hit by the metal piece. Despite the fact that a metal beam was sticking right through the front windshield, the driver walked away with only a scratch. Police have thus far issues a ticket to the truck driver for spilling a load. We’ve all been there, you’re driving and find yourself behind a truck carrying a load that just doesn’t look secure and you imagine the load shifting and falling towards your vehicle. Sadly, cargo spill accidents are a reality, not just the product of overactive imaginations. 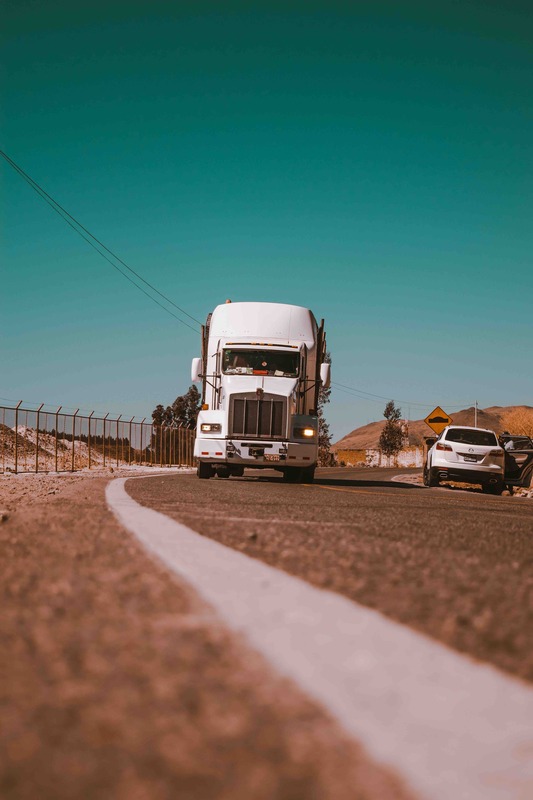 Our Oakland truck accident attorney knows the law and partners with top-notch experts to hold all responsible parties financially liable for injuries caused by falling or shifting cargo. Over the years, vehicles seem to have grown with SUVs and crossover vehicles making traditional passenger cars seem almost petite. Still, even not-so-mini-vans look almost like the Matchbook cars when they pull alongside a big-rig truck. 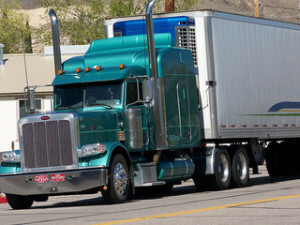 Despite all the advances in technology, the transportation of goods remains essential and big-rig trucks are a major part of that supply chain. Many commercial drivers are committed to safety, but the sheer size of these vehicles make even a moment of inattention dangerous. Big-rig accidents can be big-time catastrophes and our San Francisco big-rig crash lawyer is committed to helping the victims recover compensation from any and all parties at fault. As we write this post, CBS SF Bay Area is reporting on a multi-vehicle accident involving a big-rig truck that snarled traffic during Tuesday morning’s commute on Highway 880 near Brokaw Road in San Jose. Few details were available in the early report, but the crash followed a rain-soaked Monday morning marked by at least two early morning accidents involving big-rigs. CBS reported that at 2:19 AM on Monday California Highway Patrol (“CHP”) personnel responded to a call regarding a big-rig accident in the westbound lanes of Highway 580 just east of Greenville Road near Livermore. CHP officials told reporters that the accident left the big-rig on its side across three lanes of traffic and they eventually shut down all westbound lanes to clean up the debris. Less than half an hour after the first crash, a report came in about a second accident involving a big-rig on Highway 580, this time in the eastbound lanes. CHP officials say that crash involved a big-rig colliding with an SUV; CHP also had to close the eastbound lanes for a period to address that incident. The report does not say whether anyone was injured in either of Monday’s big-rig collisions.